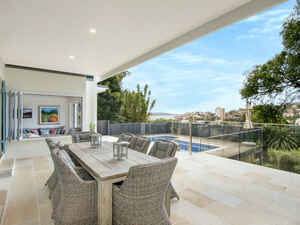 Conlon & Co boast a selection of some of Sydney’s finest homes available for short term and holiday letting. Enjoy luxurious accommodation in homes offering both style and convenience. Whether it is proximity to beaches, chic restaurants and cafes, boutique shopping, breathtaking views of Sydney Harbour or a coastal retreat escape we have some spectacular properties on offer. Whatever your destination, be it Sydney, Palm Beach or Byron Bay we have a selection of the finest luxury holiday rentals. Our properties offer pure indulgence and luxury. Our bespoke service will cater to your every whim enabling you to relax, enjoy, indulge and create a truly memorable experience. "Whilst planning our family trip of a life time we knew we had to book our accommodation in Sydney over new year well in advance. Sadly with only a few months before we were due to travel the owners cancelled. We were really struggling to find anything suitable and were starting to panic a little. It was then that I came across Conlon & Co. Julia could not have been more helpful or patient. The house that she found for us could not have been more perfect and we are so grateful. The service from Conlon & Co was always professional and even with a time difference of 11 hours was always prompt. The communication we received was excellent and very reassuring. The house itself was a little oasis in the most amazing location. It is a beautiful heritage home with lots of space for a family (we were a party of 5). The kitchen is well equipped and the aircon in the middle of summer was a god send. The two bathrooms and a separate toilet was really useful. This property is on one level and many of the rooms open out onto a fabulous garden and pool. You really would not think you were in the middle of Sydney. Erica (the owners) the house keeper could not have been more welcoming or friendly and full of local knowledge. We did not hire a car and did not need one, we could walk over the bridge to the main attractions and used the ferries and Uber for anything else. The area immediately surrounding the house was full of cafe's and restaurants and lovely little shops - everything that you could need. We could not have been better placed for the New Years fireworks and thoroughly enjoyed walking out amongst all the chaos and fun and retreating back to the house to relax.